Department of foreign languages took part in 6 – th Kharkiv International running contest on the fourteenth of April 2019. 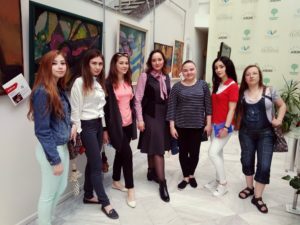 10.04.2019 associate professor of department of foreign languages Toryanuk L. A. attended gallery “AVEK” along with students of the group TFP 1 – 1. 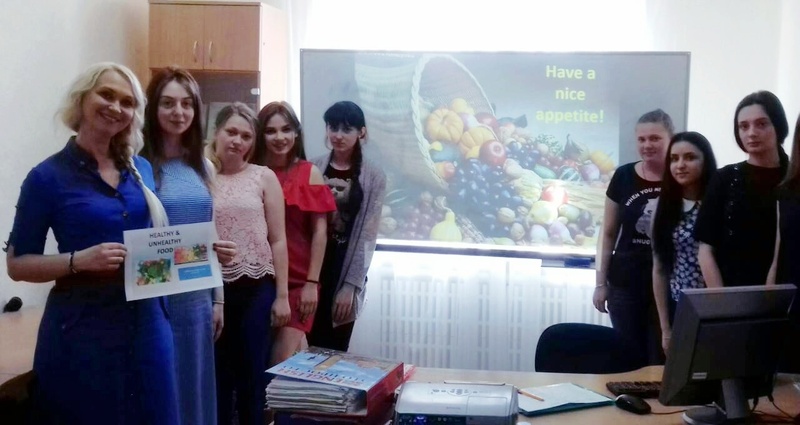 9.04.2019 lecturer of department of foreign languages Vnukova K. V. held educational hour “Interesting facts about food” along with students of the group Ph 1 – 16. 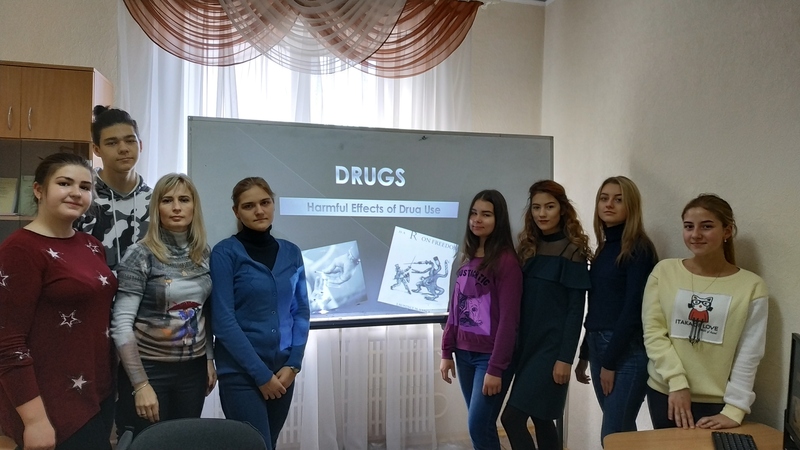 9.04.2019 lecturer of department of foreign languages Sherbina O. V. held educational hour “Harmful affect of alcohol on health of a person” along with students of the group Ph 2 – 8. 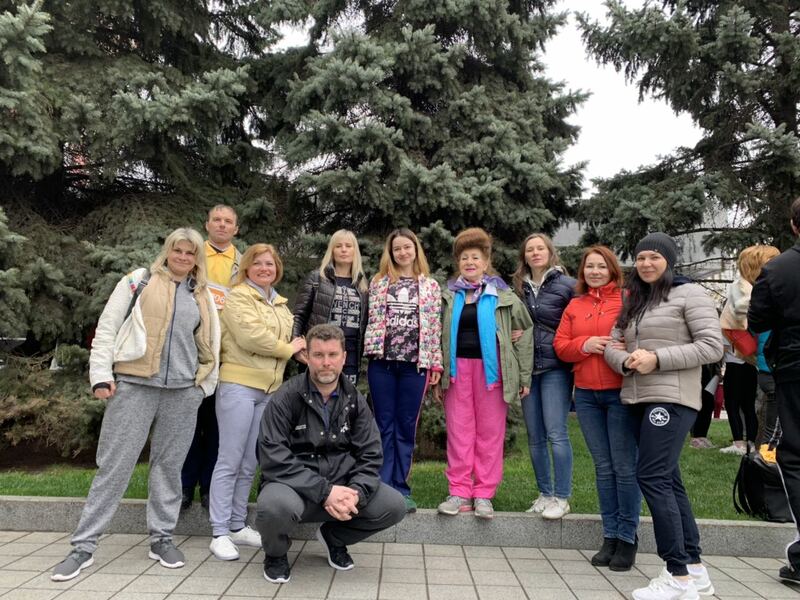 9.04.2019 associate professor of department of foreign languages Toryanuk L. A. attended information show “Birch” along with students of the group TFP 1 – 1. 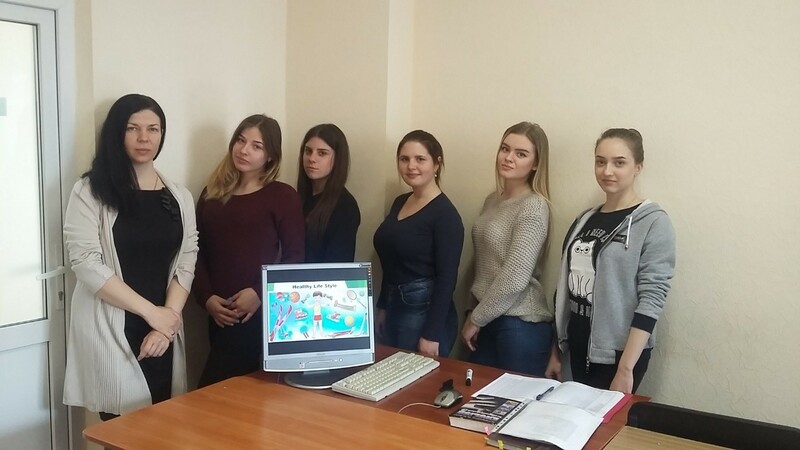 9.04.2019 associate professor Toryanuk L.A held educational hour “Protection of environment” along with students of group TFP 1 – 1. 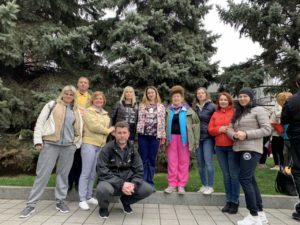 04.04.2019 senior lecturer Latunov І.S. 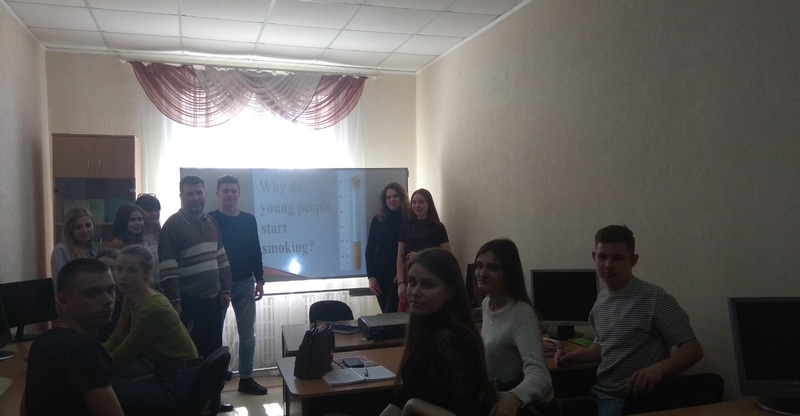 held educational hour : «Harmful consequences of tabacco – smoking among young generation » along with students of the group Ph 2 – 7. 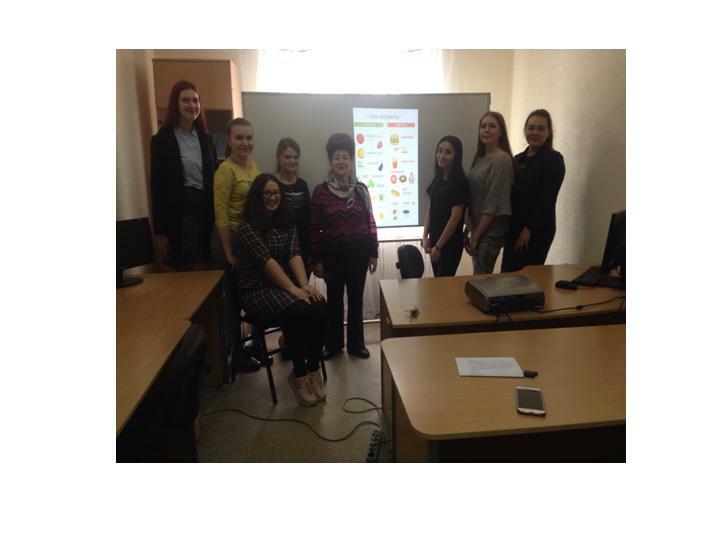 2.04.2019 associate professor of department of foreign languages Toryanuk L.A. held educational hour “Useful and harmful food” along with students of the group TFP 1 – 1. 31.03.2019 lecturer Latunova N.V. and senior lecturer Latunov І.S. 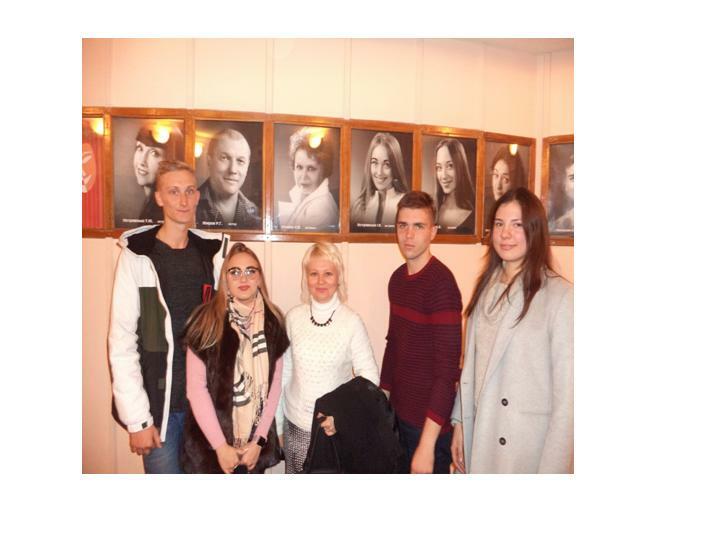 along with students of 1st year of study of groups № 1 and 8 of speciality “Pharmacy” attended “House of Actor” and watched the first night « Love of Orange». 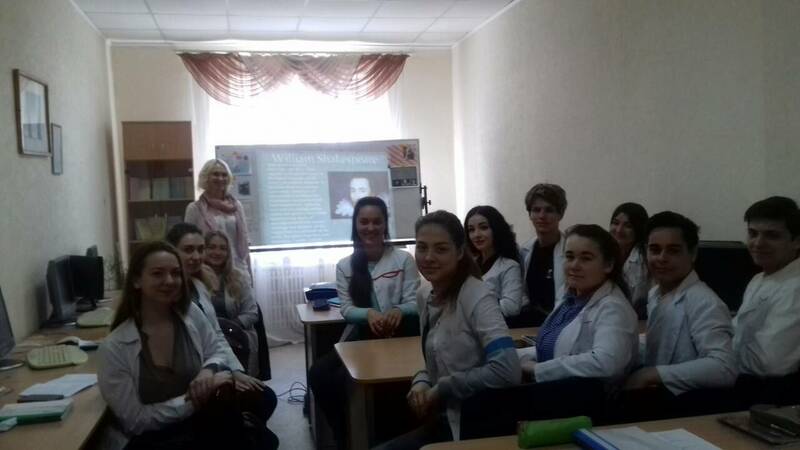 28.03.2019 lecturer Latunova N.V. along with students’ groups № 1,2,3,4 of speciality “Pharmacy” attended NPhaU to watch the documentary film «Heroes don’t die» concerning patriotic upbringing. 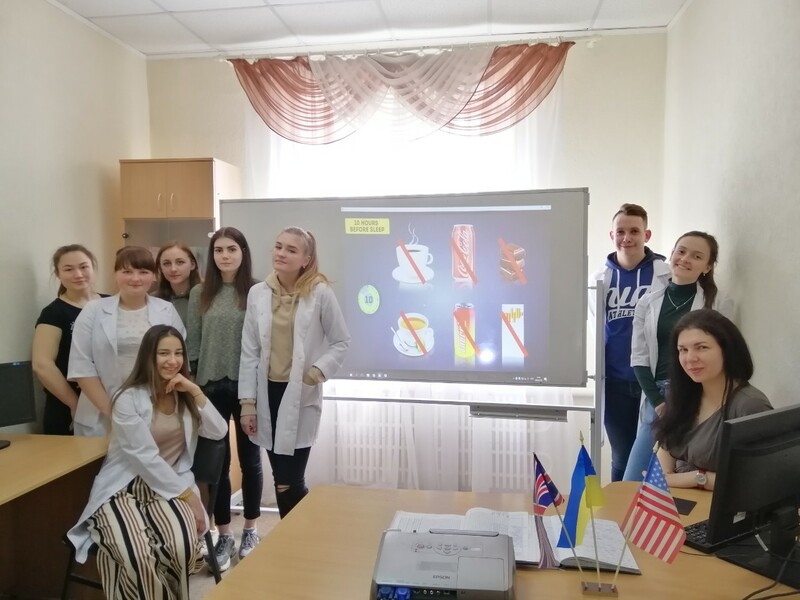 21.03.2019 senior lecturer of department of foreign languages Semenova L. V. held educational hour “Healthy diet” along with students of group Ph 1 – 9. 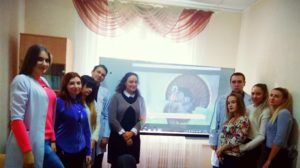 20.03.2019 lecturer of department of foreign languages Sherbina O.V. 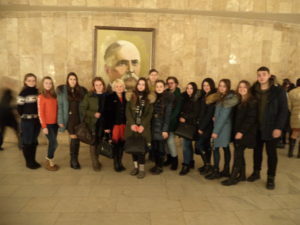 attended the theatre named after Pushkin along with students of the group BT 1 – 2. 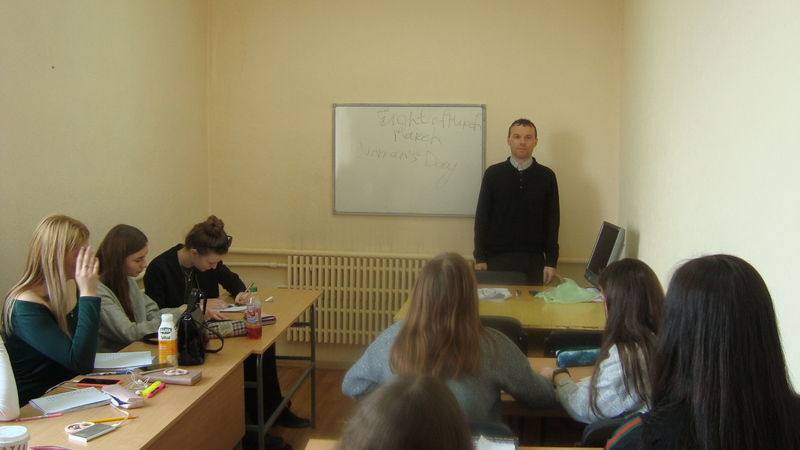 On the eighth of March 2019 senior lecturer of department of foreign languages Efremov S.V. 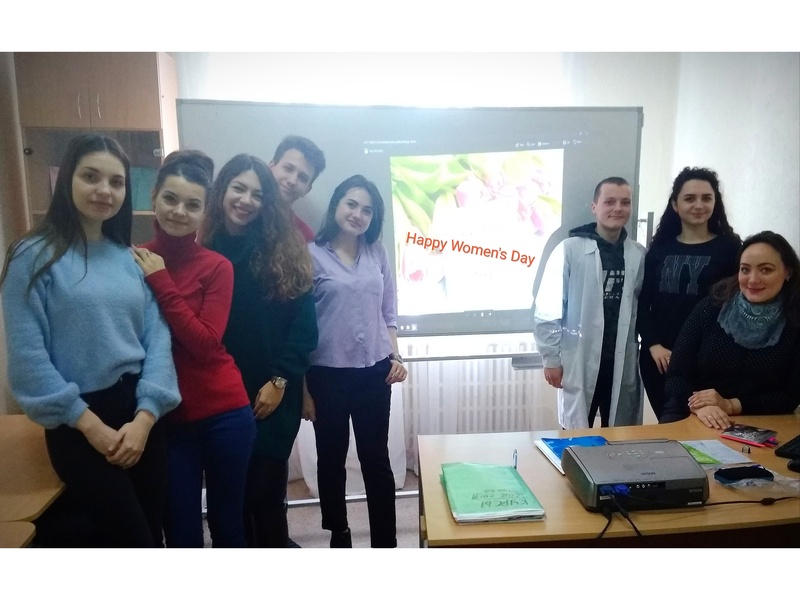 held educational lecture “Eighth of March – Woman’s Day” along with students of group TPKZ 1 -3. 5.03.2019 lecturer of department of foreign languages Sherbina O. V. attended the theatre of the russian drama along with students of the group BT 1 – 2. A lesson devoted “All Women’s Day” was held by senior lecturer Kolyada I.V. for the students of the third course on March 5th. 14. 02. 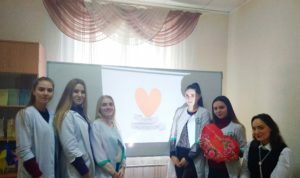 2019 senior lecturer of department of foreign language Efremov S. V. held educational hour “Saint Valentine’s Day” along with students of group TPKZ 1 – 3. 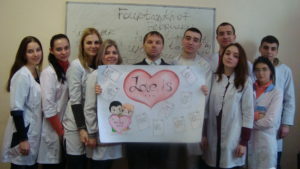 On February 13th, senior lecturer Kolyada I.V. 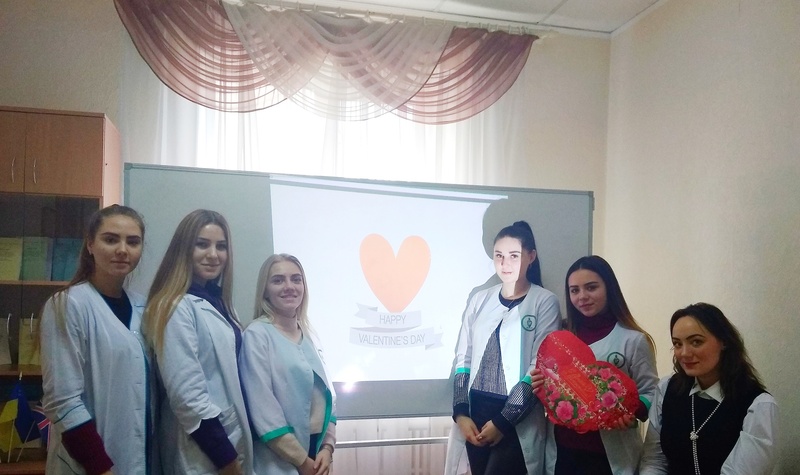 conducted movie-club Saint Valentine’s Day for the students of speciality TPKS 1 year. 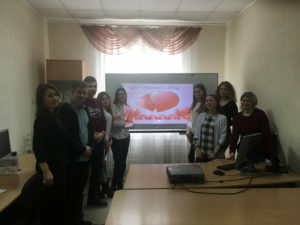 15.01.2019 lecturer of department of foreign languages Vnukova K.V. held educational hour “Celebration of Christmas” along with students of the group Ph 2 – 3. 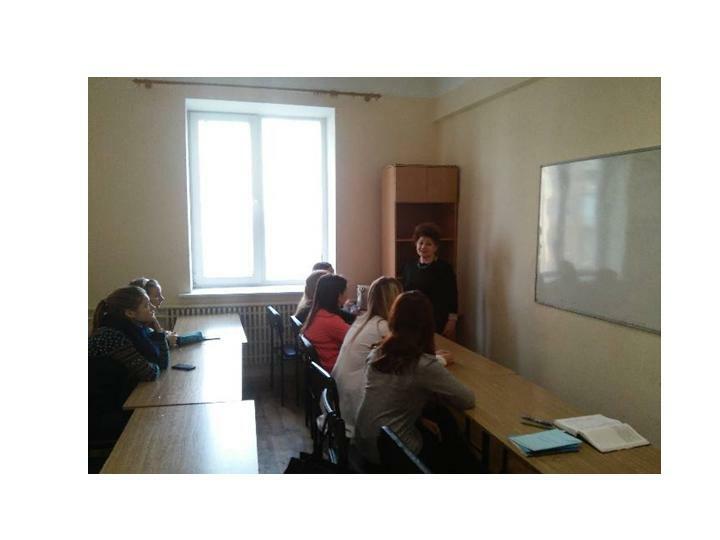 On December 6th, senior lecturer Kolyada I.V. 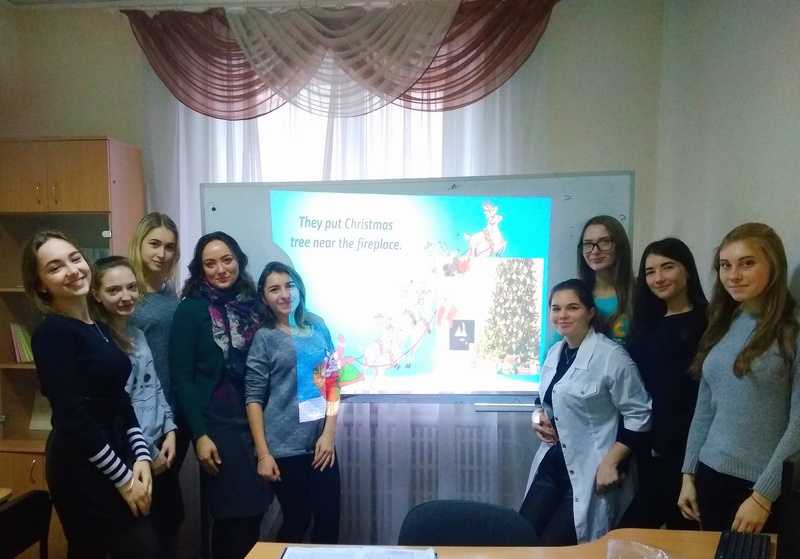 conducted movie-club Christmas in English speaking countries for the students of speciality 2 Ph 8. 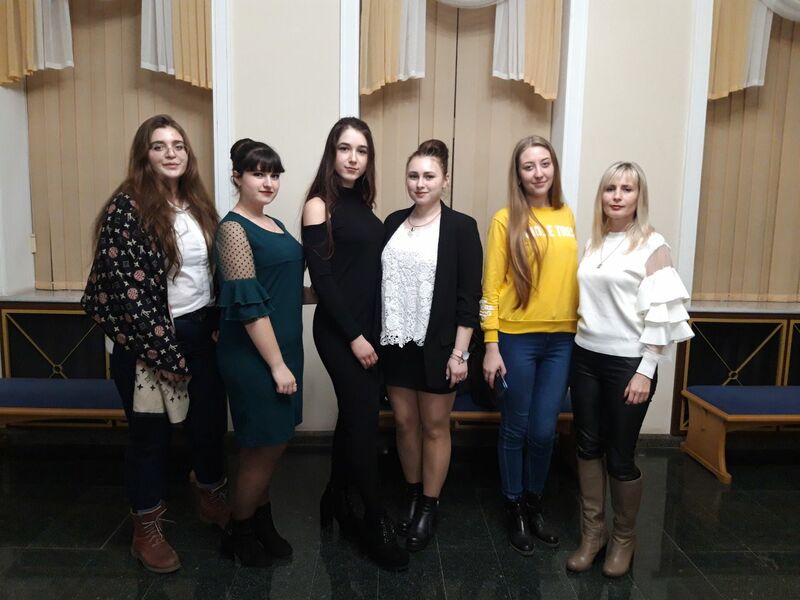 1.12.2018 Senior lecturer of department of foreign languages Efremov S. V. and students of group 2 Ph 3 attended the circus. 30.11. 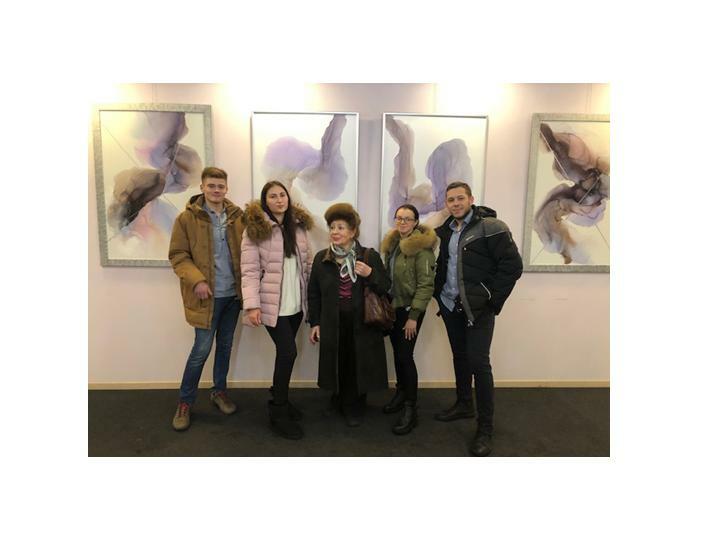 2018 Associate professor of department of foreign languages Torjanuk L. A. and students of group SSO 1 – 1 attended show “A way to himself” of outstanding painter of Ukraine Natally Bardini in the gallery “Birch”. 27. 11. 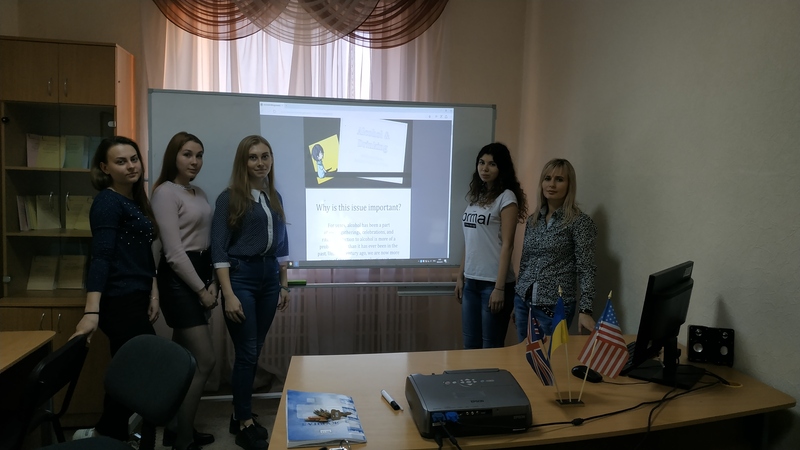 2018 Associate professor of department of foreign languages Toryanuk L. A. held educational hour “Anniversary of Golodomor in Ukraine in 1932 – 1933” along with students of group 2 Ph 3. Movie club “Thanksgiving Day” was held by senior lecturer of department of foreign languages Kolyada I.V. for the students of the third course of study of group 3 F – 3 of speciality “Pharmacy”on the sixteenth of November. 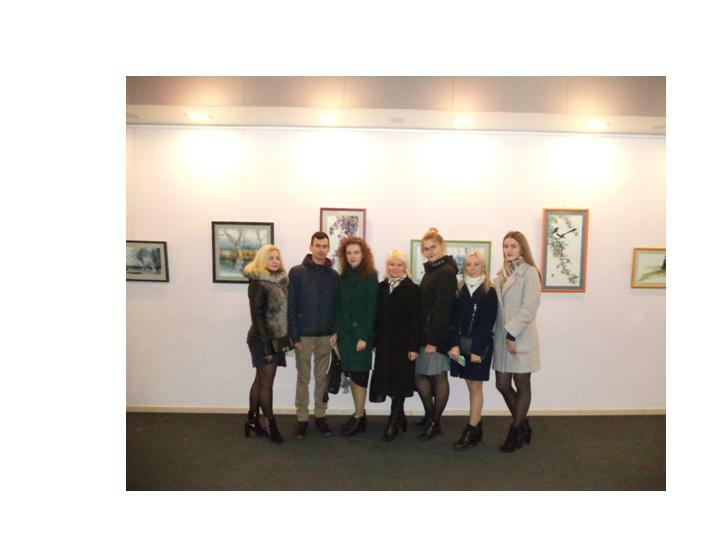 7.11.2018 Associate professor of department of foreign languages Torjanik L.A. along with the students of group F 2 – 10 attended the “Artful show in the Gallery of Feldman”. 7.11.2018 lecturer of department of foreign languages Sherbina O.V. 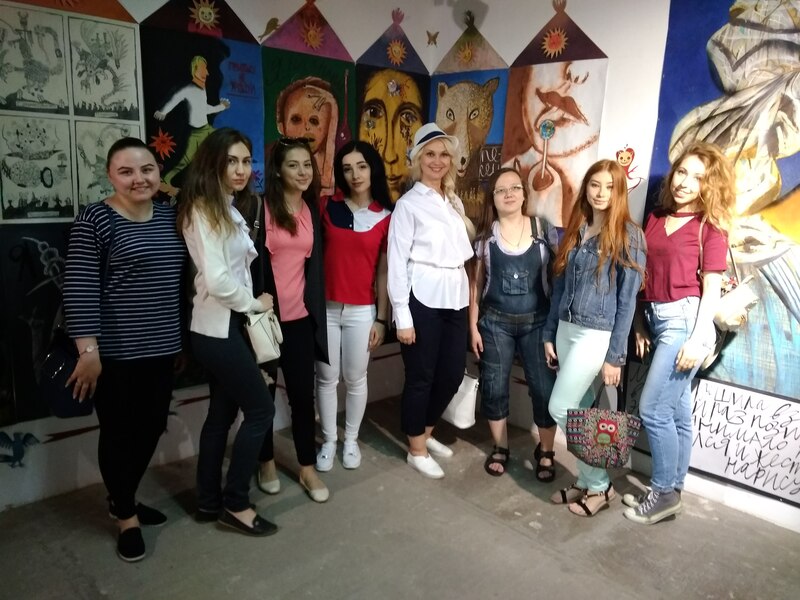 attended the gallery “AVEK” along with students of the group BT 1 – 2. 6.11.2018 lecturer of department of foreign languages Sherbina O.V. 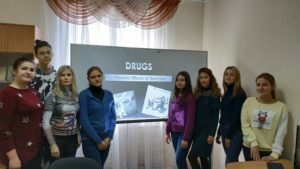 held educational hour “Harmful affect of drugs” along with students of the group BT 1 – 1. 5.11.2018 lecturer of department of foreign languages Sherbina O.V. 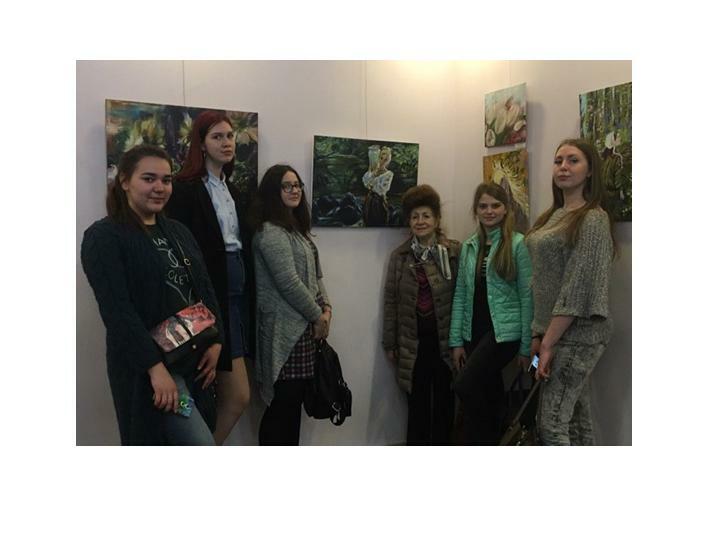 attended the painter’s gallery “Birch” along with students of the group BT 1 – 2. 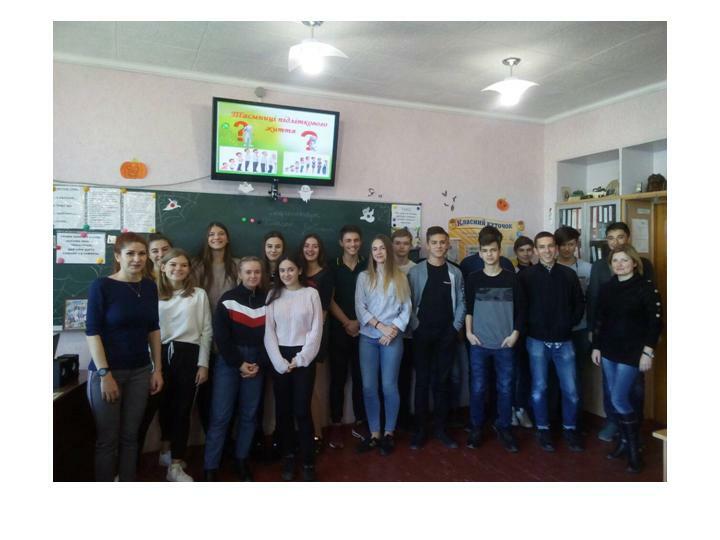 1.11.2018 Lecturer of department of foreign languages Latunova N.V. held educational hour “Puberty” along with pupils of 11th form of school number 103. 30.10.18 Associate professor of department of foreign languages Chemodanova M.F. 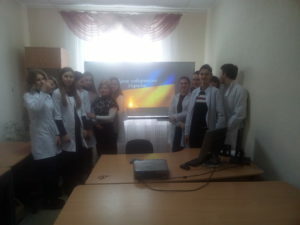 and students of group BT 2 – 1 held educational hour “Prospects of my future speciality”. 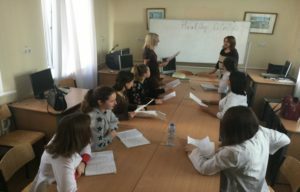 29.10.2018 Senior lecturer of department of foreign languages Koljada I.V. 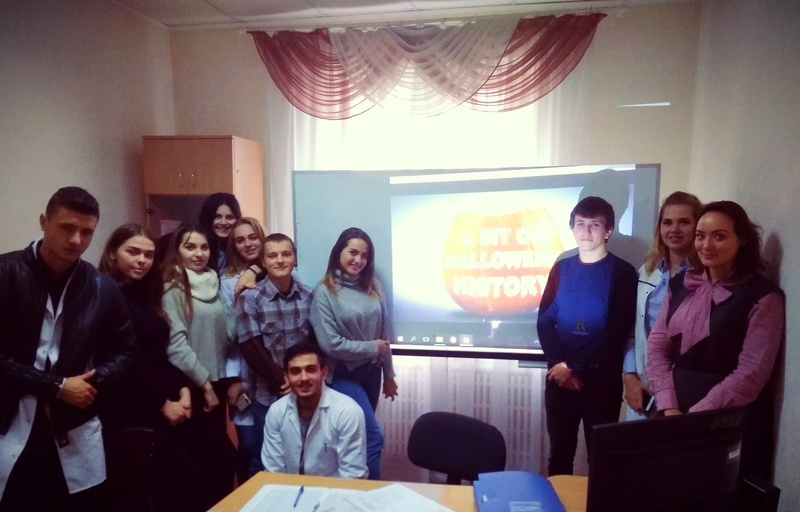 organized the movie – club «Halloween». Students of speciality “Pharmacy” of second year of study took part in it. 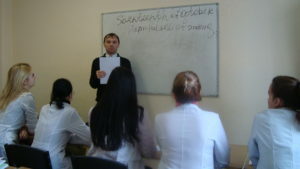 On the twenty sixth of October associate professor of department of foreign languages KarasevaE.V. 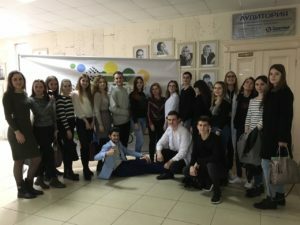 visited the ballet “Ziselle” in the theater KHATOB along with students of 3 year of study of group 6 and 2 year of study of group 13 speciality “Pharmacy”. 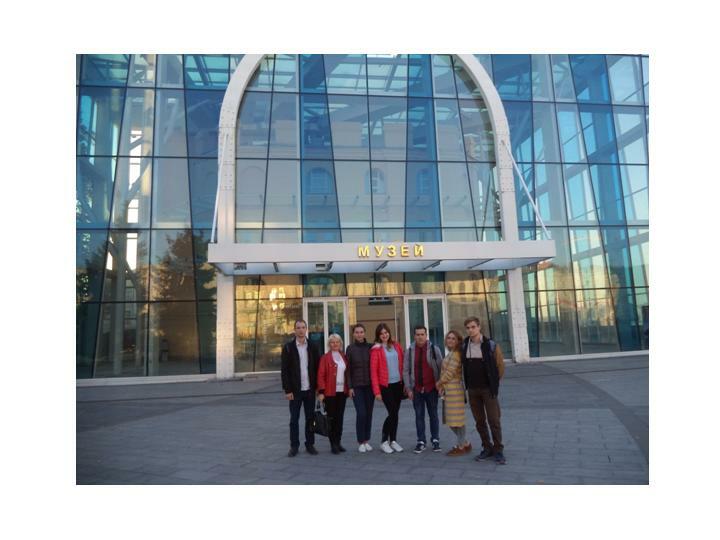 On the twenty fifth of October associate professor of department of foreign languages Karaseva E.V. 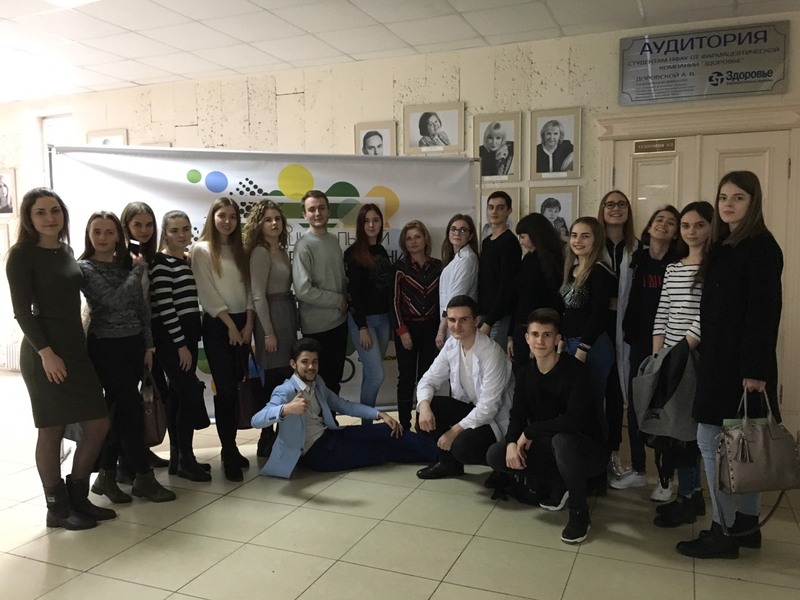 organized and visited the first night “Primadonna” in the theater named after T.G.Shevchenko along with the students of 3 year of study of group 3 speciality “Pharmacy”. 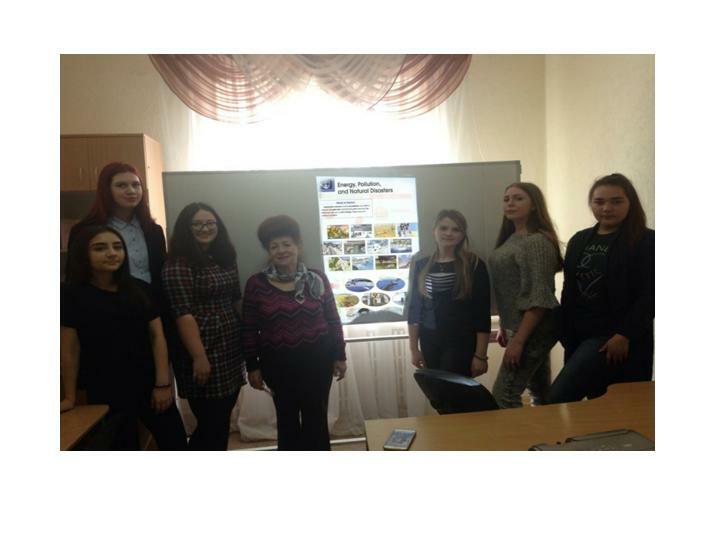 On the twenty fourth of October associate professor of department of foreign languages Karaseva E.V. organized and visited the show “This jiff” of Tatjana Samsonova in the Picture Gallery “Birch” along with students of 3 year of study of group 6 and students of 2 year of study of group 13. 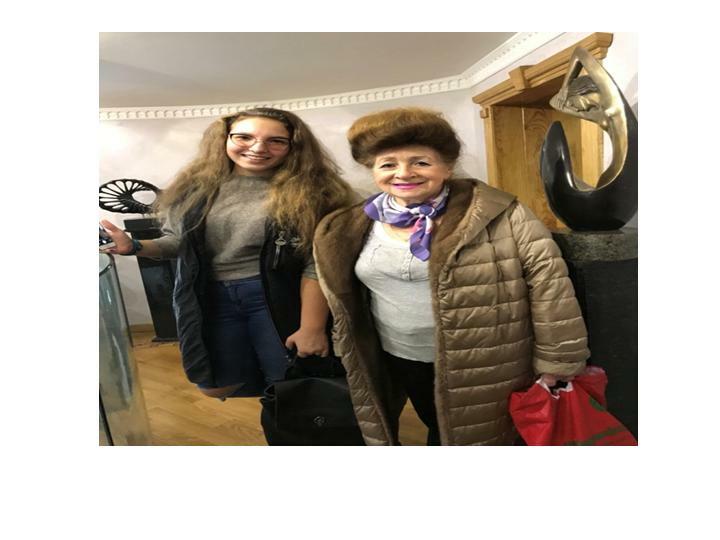 21.10.2018 Associate professor of department of foreign languages Toryanuk L. A. attended the workshop of famous sculptor of Ukraine Katuba Mamedov along with the student of group 2 Ph 2. 20.10.2018 Senior lecturers of department of foreign languages Zhurkina S.V. 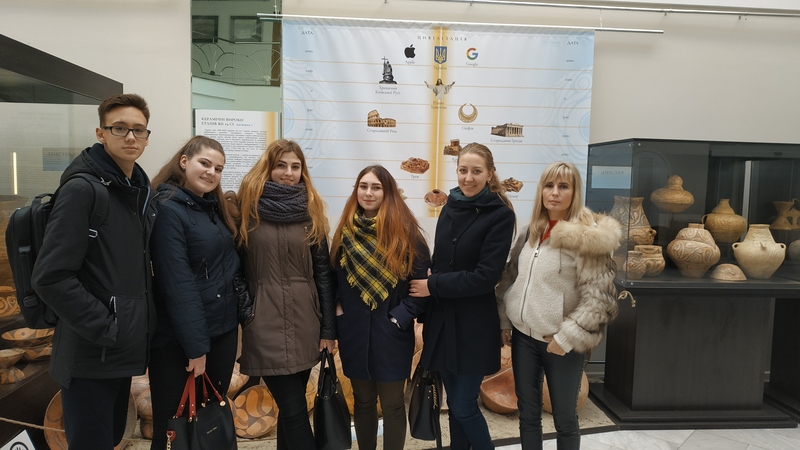 and Koljada I. V. visited the show in the Gallery AVEK along with the students of first, second, third years of study of faculty of pharmacy. 17.10.2018. An excursion “Slobozhansky region in the IX century”to the museum of History was organized by associate professor Karaseva Е.V. along with students of the second year of study of speciality SSO. 16.10.2018 Senior lecturer Efremov S.V. 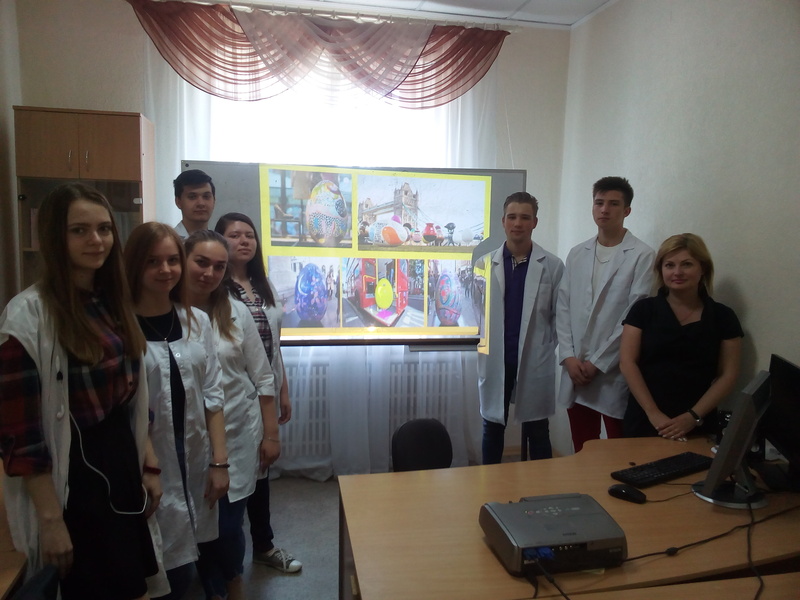 and students of group EP 1 – 1 and M 1 – 1 held educational hour “Upbringing of the youth in traditions of ukrainian kozaksdom”. 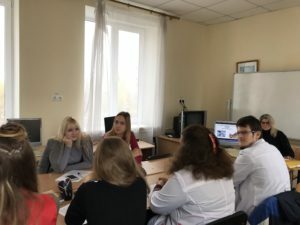 On the sixth of October 2018 Senior lecturer of department of foreign languages Kolyada I.V. 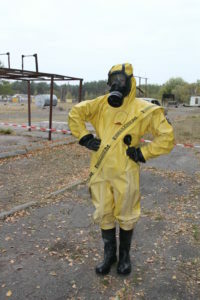 and senior lecturer Zhurkina S.V. 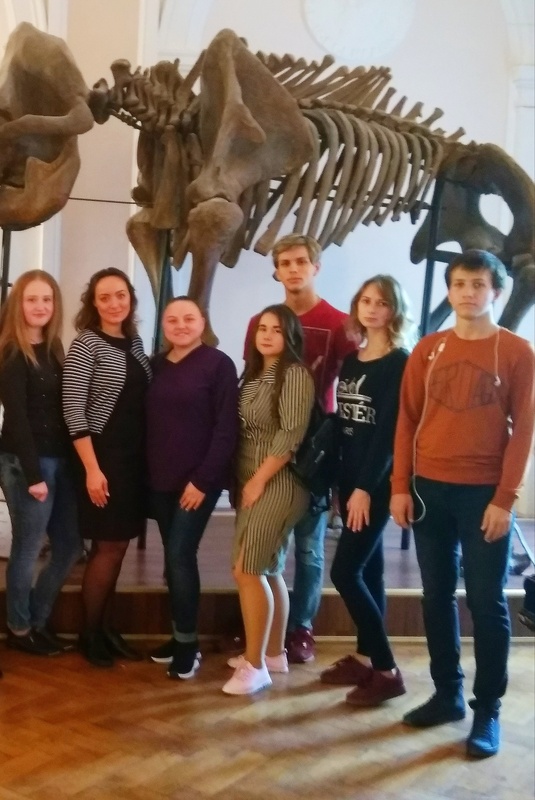 organized and visited the Museum of Nature. 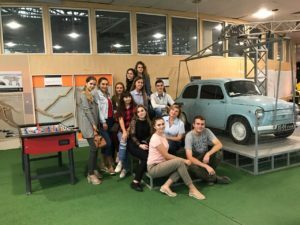 The excursion was attended by students of the pharmaceutical speciality of the first, second and third years of study. 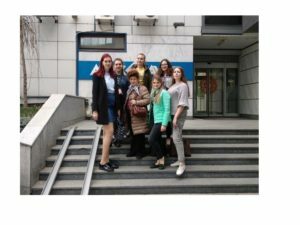 On the third of October 2018 Associate professor of department of foreign languages Chemodanova M.F. and group of second year of study of speciality of “Laboratory Diagnostics” along with Association of karate Kiokushinkay held educational hour which was devoted to health of body and spirit. 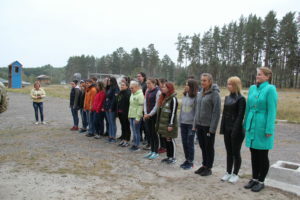 27.09.2018. Lecturer of department of foreign languages Latunova N.V. and students of group Ph 2 – 1 attended fourth traditional annual artful auction “Art unites youth”. On the nineteenth of September 2018. Excursion to the Museum of Science and inventions. 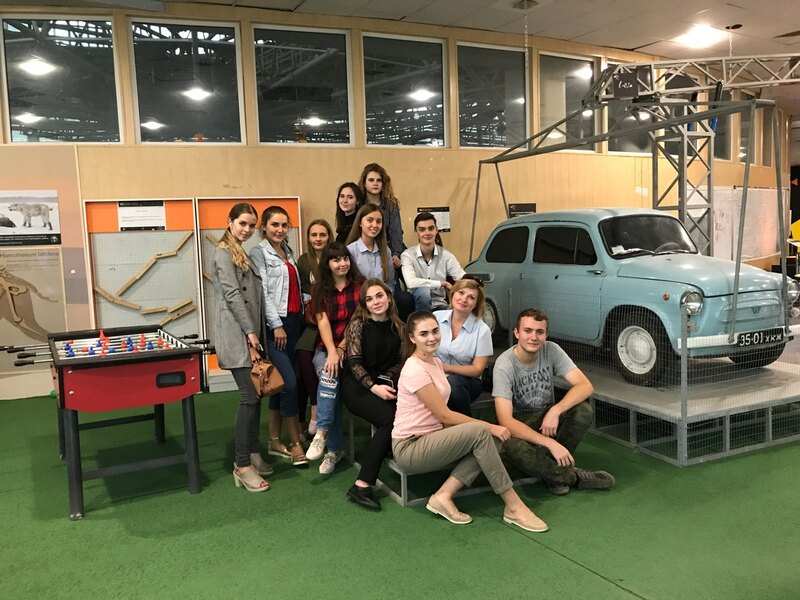 Lecturer of department of foreign languages Latunova N.V. attended the Museum of Science and inventions along with students of group Ph 2 – 1. 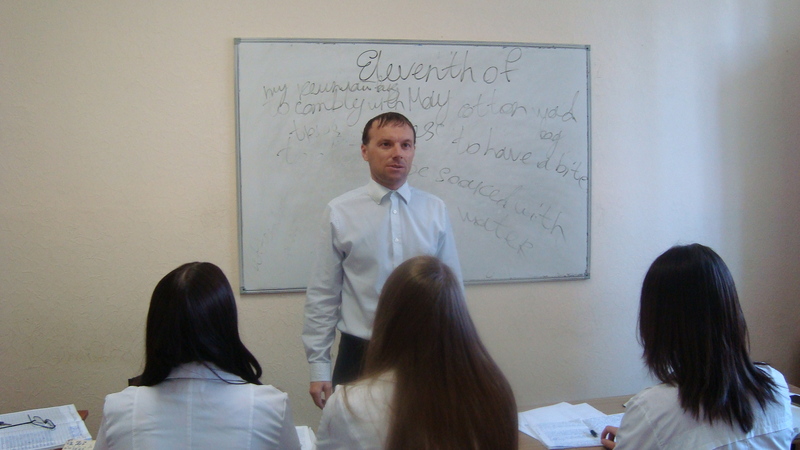 On the fifteenth of September 2018 senior lecturer Efremov S.V. 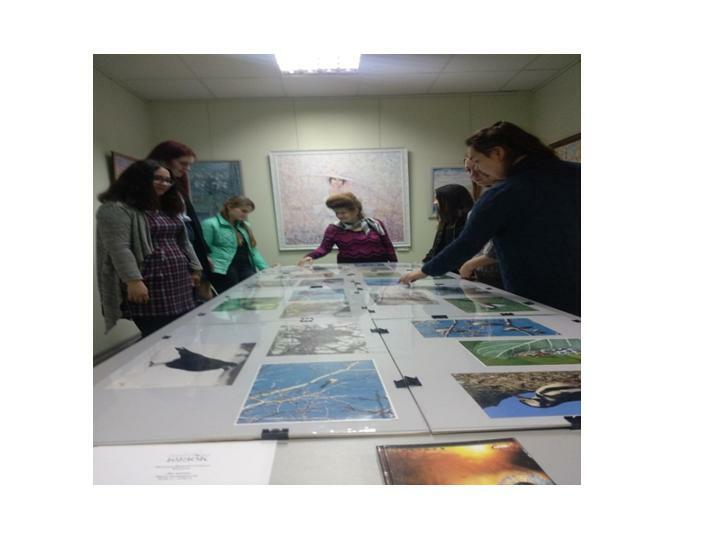 and students of group K F 3 / 2 attended the show of philonological club “Constellation”. 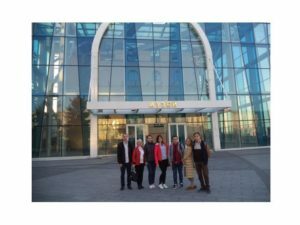 Show took place in Radmir Expohall. Attendance of show “Flower mood” in gallery ”Birch”. EDUCATIONAL HOUR DEVOTED TO ATTENDANCE OF SHOW “FLOWER MOOD” ON THE FIFTEENTH OF SEPTEMBER OF 2017 WAS HELD BY ASSOCIATE PROFESSOR OF DEPARTMENT OF FOREIGN LANGUAGE KARASEVA O. V. ALONG WITH STUDENTS OF SECOND YEAR OF STUDY OF GROUPS TFP 2-1 AND PH 5. EDUCATIONAL HOUR DEVOTED TO ATTENDANCE OF SHOW “INDIAN CULTURE” ON THE SIXTEENTH OF SEPTEMBER OF 2017 WAS HELD BY ASSOCIATE PROFESSOR OF DEPARTMENT OF FOREIGN LANGUAGE KARASEVA O. V. ALONG WITH STUDENTS OF SECOND YEAR OF STUDY OF GROUPS TFP 2-1 AND PH 5. 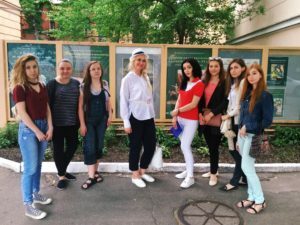 Attendance of ballet “One thousand and one night” in Khatob. 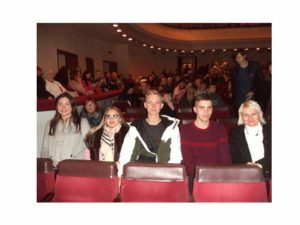 EDUCATIONAL HOUR DEVOTED TO ATTENDANCE OF BALLET “ONE THOUSAND AND ONE NIGHT” ON THE SEVENTEENTH OF SEPTEMBER OF 2017 WAS HELD BY ASSOCIATE PROFESSOR OF DEPARTMENT OF FOREIGN LANGUAGE KARASEVA O. V. ALONG WITH STUDENTS OF SECOND YEAR OF STUDY OF GROUPS TFP 2-1 AND PH 5. On september 14th , 2017 the roundtable discussion devoted to the future of pharmacy was held. 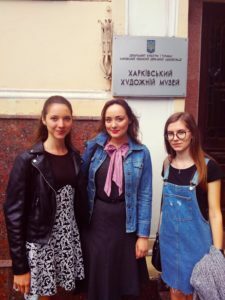 IT WAS HELD BY SENIOR LECTURER OF DEPARTMENT OF FOREIGN LANGUAGES LATUNOV I.S AND LECTURER OF DEPARTMENT OF FOREIGN LANGUAGES LATUNOVA N.V. ON THE THIRTIETH OF SEPTEMBER OF 2018. 12.10.17 at the Foreign Languages Department was held an educational hour dedicated to Ukraine’s defenderday. The lesson was conducted by the PhD Chemodanova MF. in th egroup Ph 1 \ 9. Responsible – senior lecturer Efremov S. V.
1. Presentation – «Healthy lifestyles». 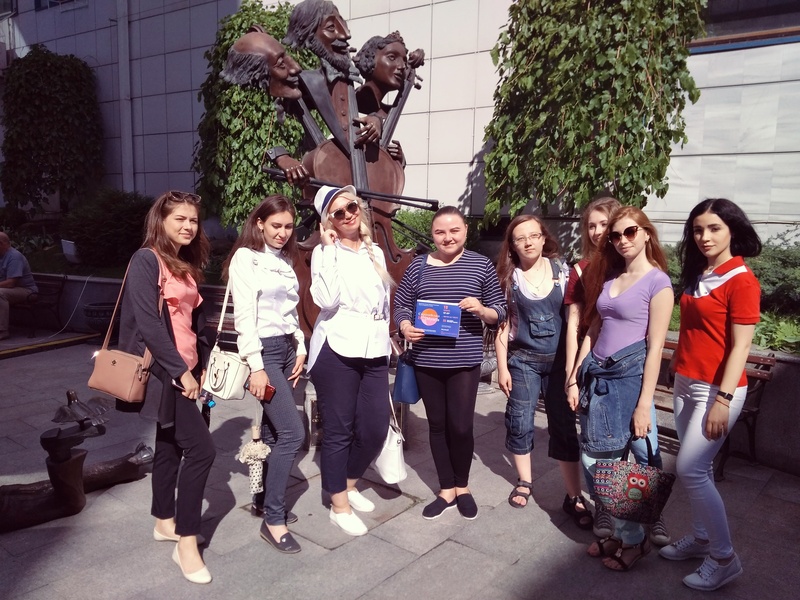 Responsible – senior lecturer Semenova L.V. On the 17th of November 2017, a lecture on Why Distance Learning was organized. It was dedicated to the International Students Day. 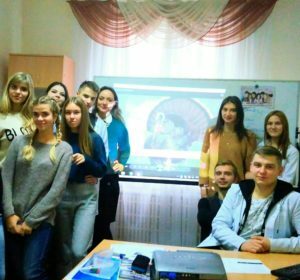 Movie club “Thanks giving Day” was held by senior teacher Kolyada I.V. for the students of the second course on November 20th. On 21.11.2017. It was an educational event “Importance of being the citizen of Ukraine”. 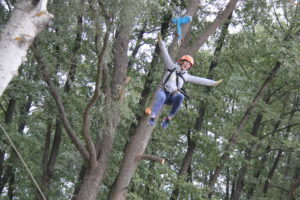 It was held along with group 1F4. 1. Presentation. 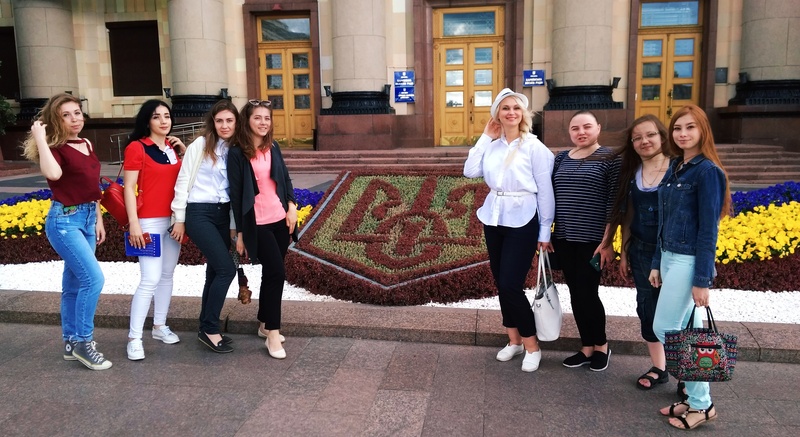 “IMPORTANCE OF BEING THE CITIZEN OF UKRAINE”. Responsible – senior lecturer Efremov S.V. Responsible – teacher Latunova N.V.
A trip to AVEC gallery was organized for the exhibition of paintings by Victor Gontarev with students of the first year, special. “Pharmacy”, gr. 5 on the 12- th of February 2018. 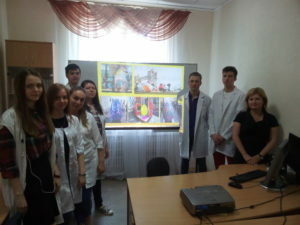 The responsible is an associate professor of the foreign languages department Karasova O.V. 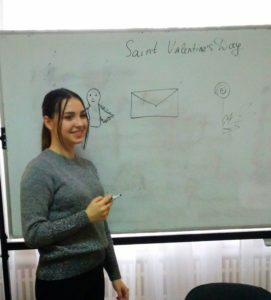 EDUCATIONAL HOUR DEVOTED TO DAY OF SAINT VALENTINE. 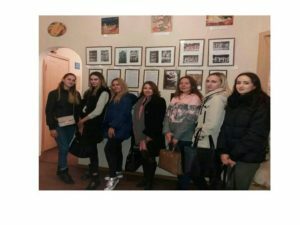 IT WAS HELD BY THE CANDIDATE OF PHILOLOGICAL SCIENCES, ASSOCIATE PROFESSOR OF DEPARTMENT OF FOREIGN LANGUAGES CHEMODANOVA M.F. 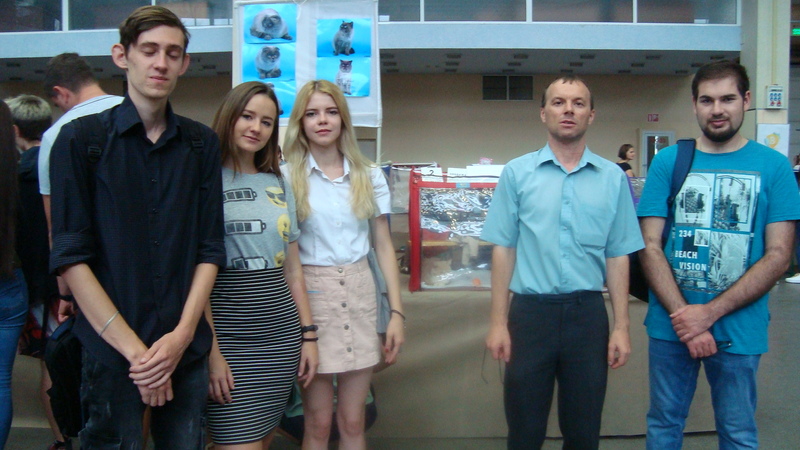 AND SENIOR LECTURER OF DEPARTMENT OF FOREIGN LANGUAGES SEMENOVA L.V. IN THE COMPUTER CLASS ON THE FOURTEENTH OF FEBRUARY OF 2018 ALONG WITH STUDENTS OF GROUPS OF 1 pH 7 AND 2 pH 10.
was conducted at the Foreign languages department on February, 14 by a teacher Kolyada I.V. 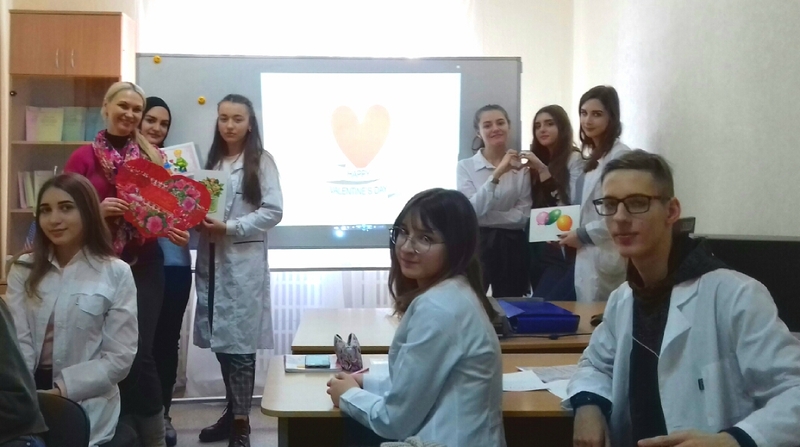 On February 14, 2018, a competition for the best Valentine’s Day card was held with 1st year students, gr.2. CCO med. Presentation. “DAY OF SAINT VALENTINE”. 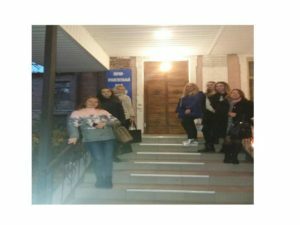 Organized going to the theatre “KHATOB” for the ballet «La Bayadère» with students of the 1st course, speciality “Pharmacy”, gr.12 (February 28, 2018). Educational hour is devoted to eighth of March. 2.03.2018. Group SSО1.1 Еfremov S.V. 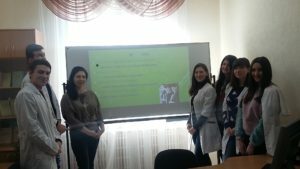 On the 5 th of April 2018, a lecture on Healthy Lifestyle was organized. It was dedicated to the World Health Day. Educational hour is devoted to holiday Easter. 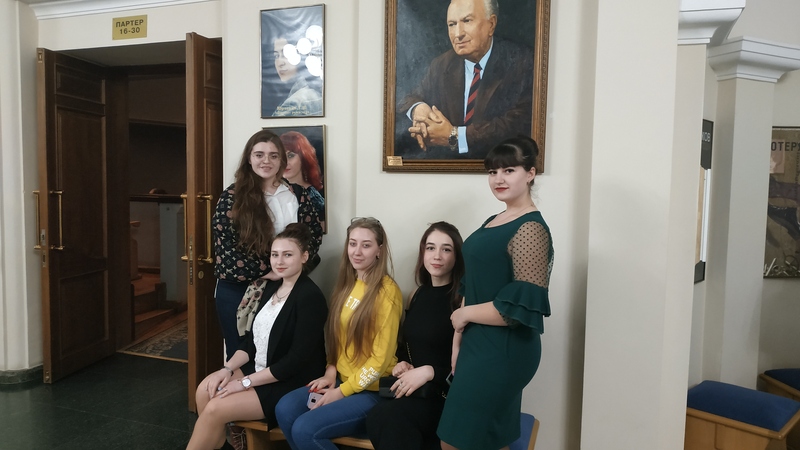 It was held by senior lecturer Efremov S. V. on the sixth of April of 2018 in the classroom 14 along with students of 2 Ph 13 in 12.50 – 14.30. 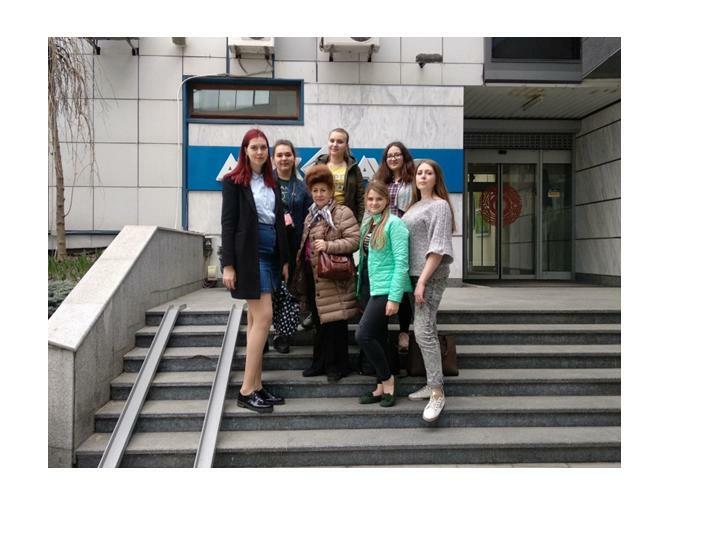 On the 23rd of April, 2018 senior lecturer Zhurkina S.V. conducted a class dedicated to the International English Language Day and Shakespeare’s Day. 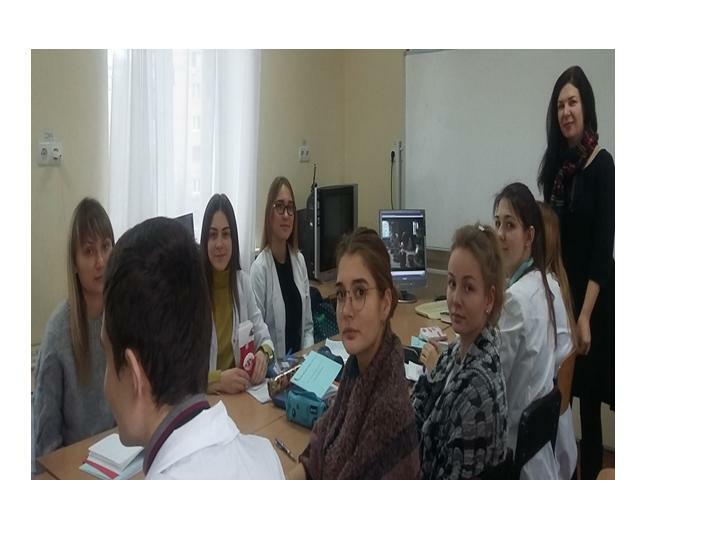 The class was organized with the 3rd year students of pharmaceutical department, group 11. On May, 20 2018 seniour lecturer S.V. 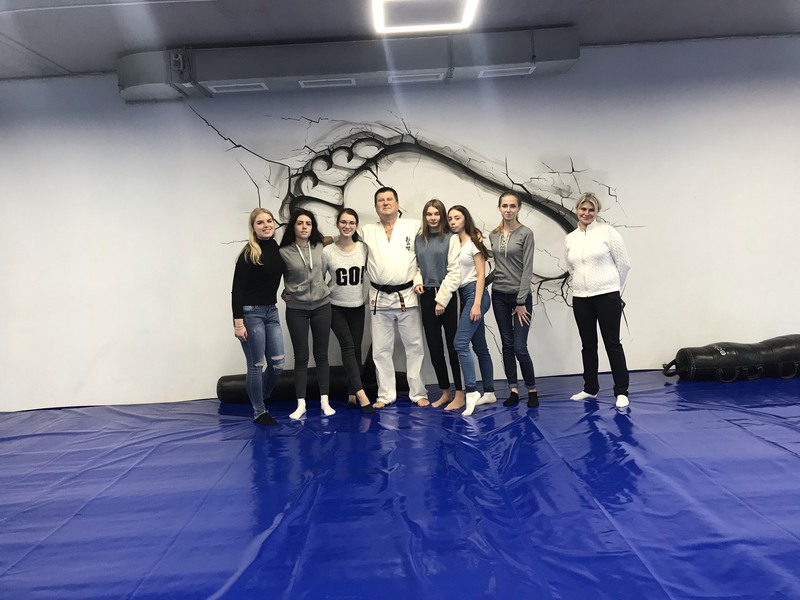 Zhurkina and seniour lecturer Kolyada I.V. 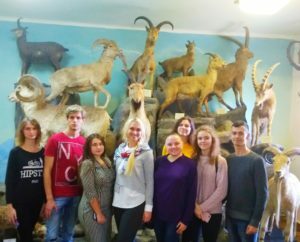 organized visiting Kharkov museums and galleries. 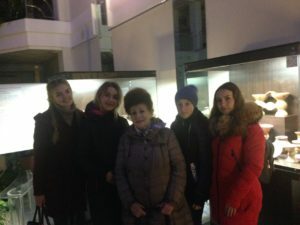 Excursions were dedicated to the International Day of Museums. 1st, 2nd and 3rd year students of pharmaceutical and medical pharmaceutical departments took part in the event. Seniour lecturer S.V. 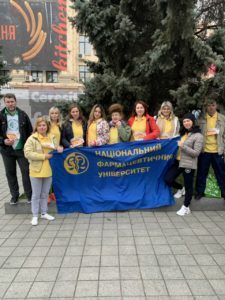 Zhurkina and seniour lecturer Kolyada I.V. 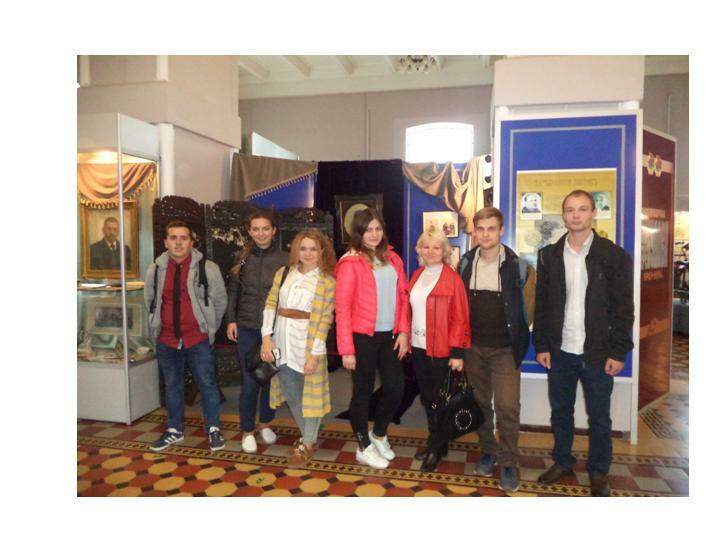 with students visited gallery of Slobozhanshchyna. Seniour lecturer S.V. 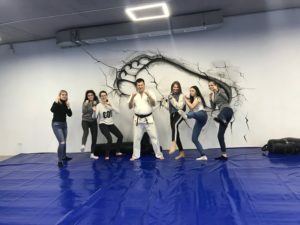 Zhurkina and seniour lecturer Kolyada I.V. 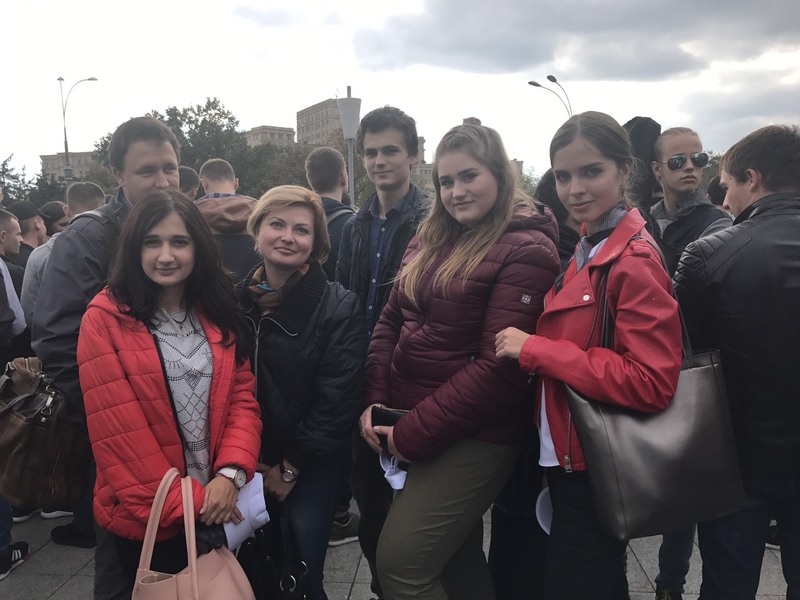 organized a walking tour for students in the city center. 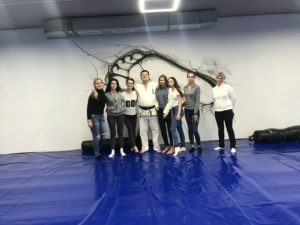 On May, 23 2018 seniour lecturer Zhurkina S.V. 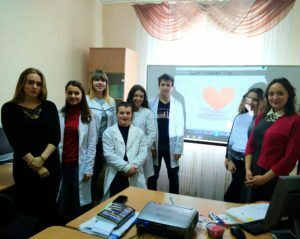 delivered a lecture “Healthy lifestyle”. The event was organized with the 1st year students, group 3 LD of medical pharmaceutical department. On May, 23 2018 seniour lecturer Latunov I.S. 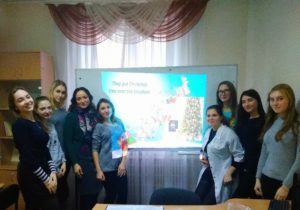 delivered a lecture “Healthy lifestyle”. The event was organized with the 1st year students, group 6 pharmaceutical department. Competition among students’ newspapers 8.03.17р. Educational hour “Worldwide day of Health” 7.04.17р. 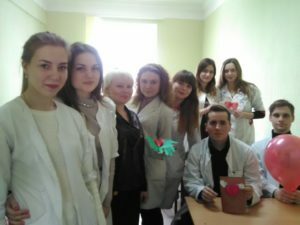 Educational hour “Day of Shakespear” 24.04.17. 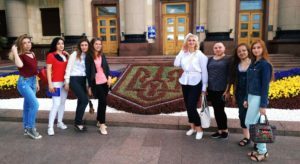 Educational hour “Excursion to homesteads of Slobozhanshina” 23.05.2017.